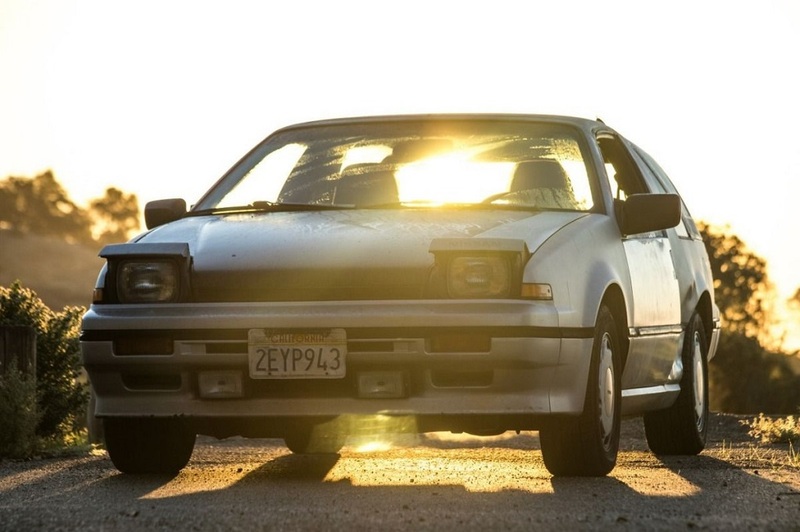 This is a thread dedicated to my new ownership of a 1987 Nissan Pulsar NX. 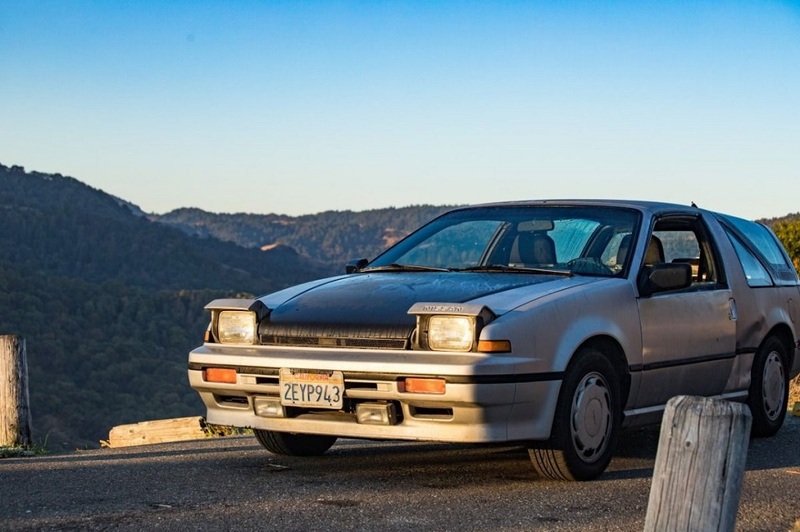 Much like my thread on M3Forum, I will use this thread to keep track of maintenance, modifications, victories, woes, existential crises, etc etc. It's an online footprint, and eventually will be a time capsule. 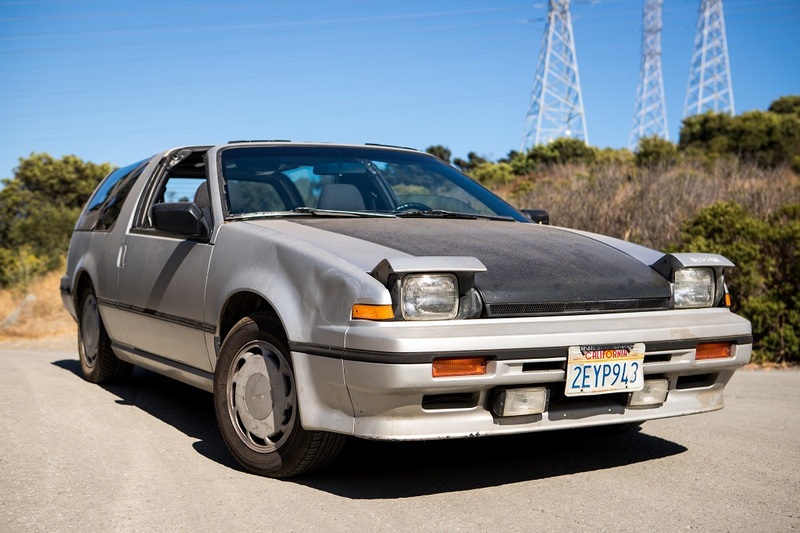 My experience with this car goes back to January 2018, but the car has obviously had an extensive history prior - over 30 years of it. 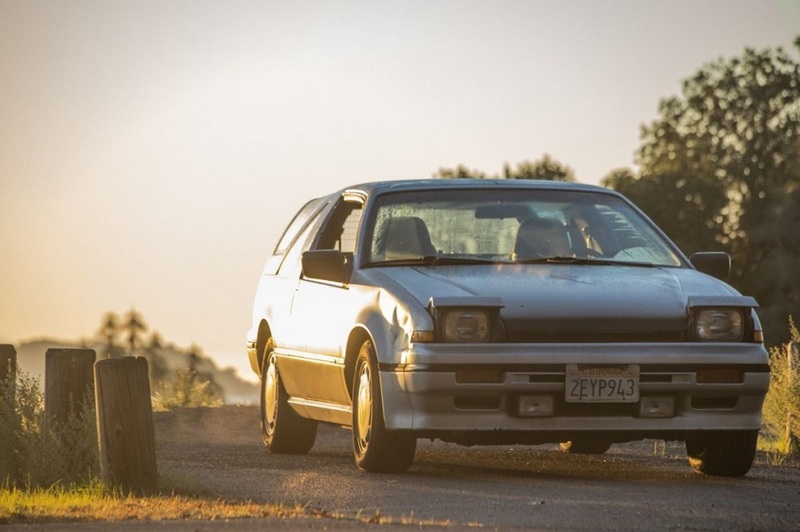 The Pulsar was nothing less than an accidental find around Sacramento, CA. We were two cars cruising back from breakfast when we had taken a wrong turn back to our friend's house. I was driving the second car in our group, with Preston in the passenger seat. Preston is a man of many cars, in fact the car I was driving belonged to him, and with his many cars come many stories. 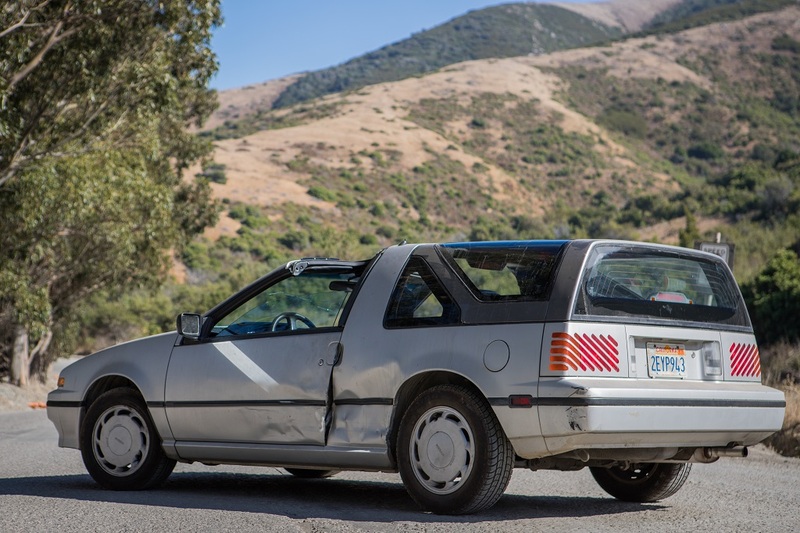 As we navigated through this quiet, suburban neighborhood, we stumbled upon a 1987 Nissan Pulsar NX parked along the curb of the main street. It had the standard liftback trunk lid, on which "For Sale" and some other less-legible writing was written in removable window paint. Naturally we slowed down to gaze upon the relic, bad decisions racing through our minds, before we proceeded on our merry way. 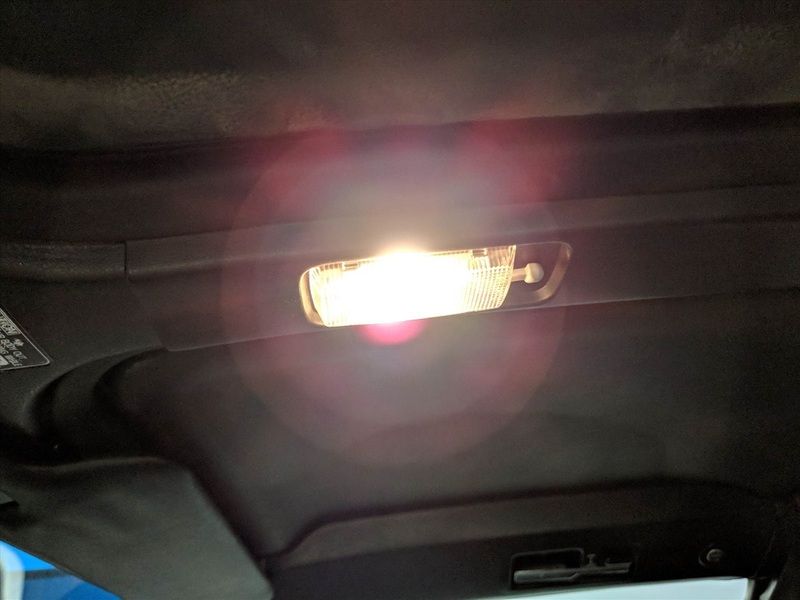 Right as my foot reached the accelerator pedal a voice called out to us. "100 bucks and it's yours!" the voice called. Was it Jesus? Was it Cthulhu? Was it some divine being? No. It was none other than the owner himself, working on some other project in his garage. Of course upon hearing this I made a legal U-turn when it was safe to do so (and totally didn't flip a U-ey in the middle of that street) to go back and confirm what we heard was true. Lo and behold, he said what he meant and he was not joking. The owner, who I will refer to as PO for "previous owner" because I have shamefully forgotten his name, was looking to sell the Pulsar as it didn't run and was causing too much of a headache to fix. 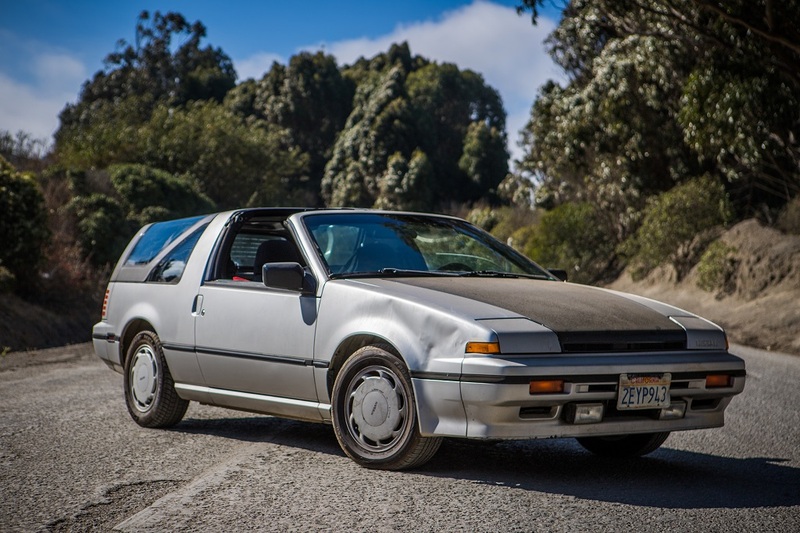 PO used to enter this car into bracket races and drag race this car (yes, this 1987 Nissan Pulsar with a CA16DE making what, 100 hp?) not for speed, but for consistency. All was fine until it wasn't. The car wouldn't start and no amount of troubleshooting could bring it back to life... yet. After the exchange of some signatures and one hundred big ones, the car was now Preston's. Along with the paperwork and keys came the sportbak at no additional cost. Our group pushed the Pulsar back to the house, while my friend Alvin drove the sportbak there with his Datsun 1600 roadster. As you can tell, we were unknowingly prepared for this event that had unfolded. As we rolled the car into the driveway, there were nothing but smiles all around. Did this really just happen? Is this car going to run? What do we even do if it doesn't? So many questions arose but no answers in site. Thankfully, Alvin busted out the multi-meter and dove headfirst into diagnosing the engine. Alvin knows CA's like the back of his hand, after building up a CA18DE for years before I even met him, and eventually graduating to a CA18DET. It's safe to say that we were in good hands. We borrowed a battery from another car and found that the car did crank, but the spark plugs just weren't firing. The fault was determined to be somewhere in the wiring harness, so Alvin jumped the ignition coil directly to the battery. An hour and one wire later, the Pulsar fired right up. The silence was deafening as we waited for something to go wrong but to our surprise the engine was running properly. We took it for a spin and it ran, and it ran, and it ran all day without failure. At some point we hopped into Walmart for a battery and at that point Preston was $160 invested into this car. I drove it back to Preston's place and it was at that moment when I knew one day the legendary Pulsar needed to be mine. Fast forward to August 2018, tragedy struck when an unfortunate battle between two cars was had. As with all things in life, accidents will happen and that's just the way life is. 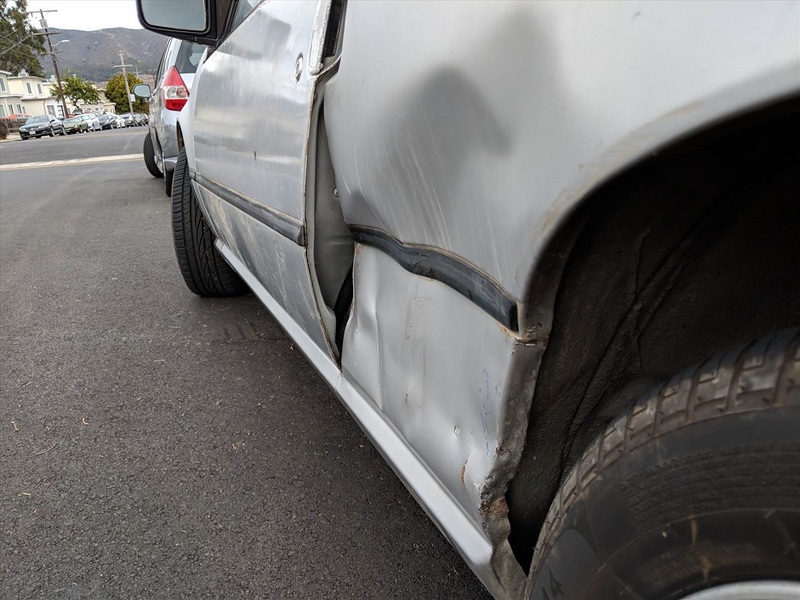 The resulting damage deemed the Pulsar's driver's side B-pillar and door to be irreparable, but the car still drove perfectly fine. Just when all hope for the Pulsar was seemingly lost, I saw my opportunity to take on ownership of the beloved shooting brake I loved so dearly. Preston, being the wonderful person that he is, graciously bestowed upon me the keys to the Pulsar to cherish forever - or at least until an Uber driver hits it or whatever. 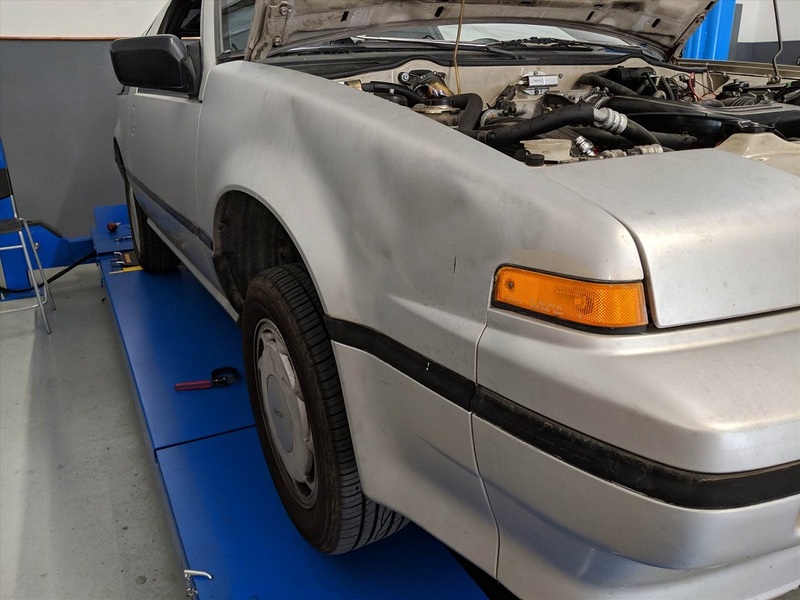 A few hours of my friend Mike wailing on the body panels with a BFH and me dying in the heat, the door was back in "working" condition and it could be "used". From then, it's just been a few signatures on some paperwork and a 3 hour drive back to the Bay Area at 3am. The Pulsar is now mine. Prior to PO drag racing the car, the history of the car is unknown. As much as I want to believe the car has been in his family since it was brand new, passed down to him to hold onto until he drove it into the ground on the drag strip, I can't be so certain. What I do know is that there's still a fighting force in this car that keeps it going. After being transferred twice within a year, the car hasn't given up. Sure it's seen better days physically. Sure it's currently considered a gross polluter. Sure it will cost me a hell of a lot more than $100 to get it where I want it. But much like Alvin did by jumping the ignition coil to the battery, I'll try my best to give this car not a second chance at life, but a third. Thanks for reading. Last edited by JaredMV; 22nd September 2018 at 01:23 AM. Awesome story man, good luck! Today I thought I'd be productive and install some of the parts that I acquired over the last week. I grabbed my parts and my toolbox and got to work. The first thing that I tackled was the O2 sensor because it's right up front. First unfortunate event of the day, I snapped 2 of the 4 bolts holding the heat shield on to the exhaust manifold. Because it's so corroded, I'm going to try and source another exhaust manifold altogether instead of trying to drill out the remainders of what once were bolts. After that I went and put in the new gas cap. This went smoothly, and it was at this point where the good feeling of "wow I'm fixing some of this stuff" reached its peak. 2. 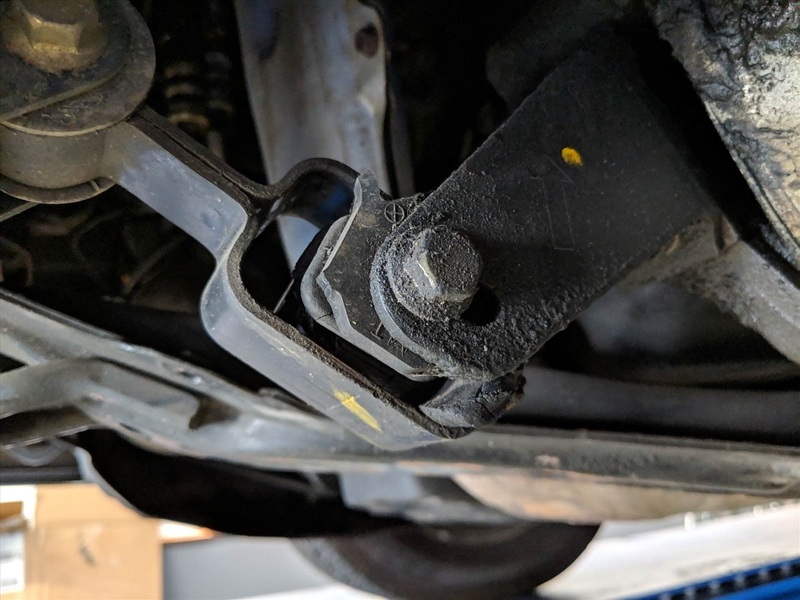 I can't return these struts to Rock Auto because I will need the new ball-mount that screws into the sportbak. This is going to be a wild ride. If the heat shield bolts are any indication, getting the old catalytic converter out out of the exhaust is going to be a PITA. Last edited by JaredMV; 12th September 2018 at 10:23 AM. 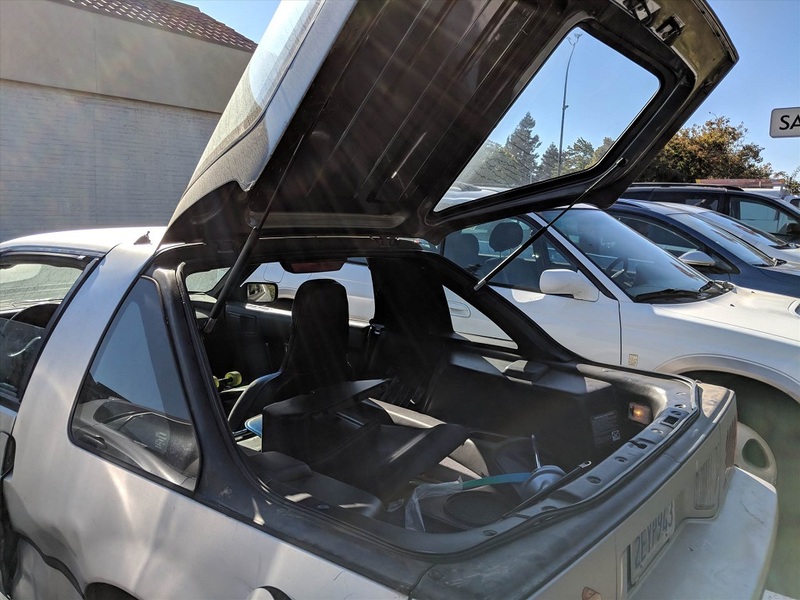 My friend Mike and I both took the day off work and headed to Turlock where a car dismantler had an N13 Pulsar ready to chop up. 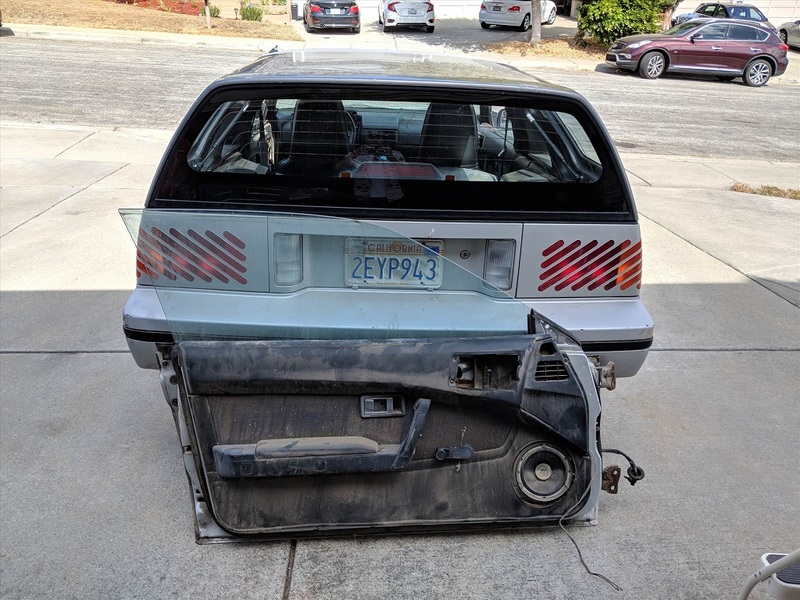 I picked up a door assembly and a quarter-panel cut from them for less that what I expected to pay so that was neato. On the way back into the bay area, we stopped in Modesto to pick up an exhaust that was meant for a '97 Accord. The piping is 2.5" all the way back to a N1 style muffler, and it has most of the necessary bends I'd need to make my custom exhaust. When we got back into the bay, I stopped by my place to pick up the exhaust flanges and shift knob that were just delivered (I also received ball studs and lift supports, but that will be part of another post). Because I had most of the components to swap my cat out, I picked up my welder and angle grinder and took off toward Mike's shop. 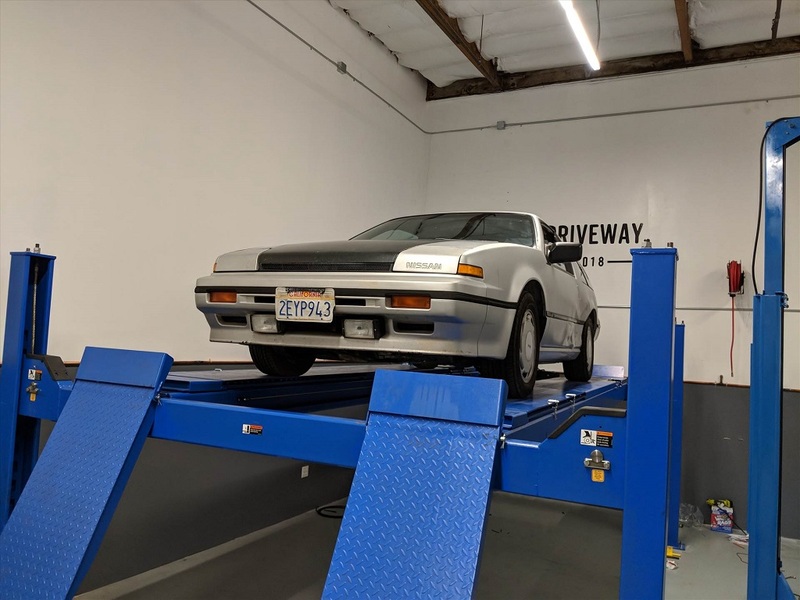 He was kind enough to let me use his lift to work on the car and I have to say - working with a lift is a luxury. In the last picture, I had already cut out the previous cat, welded some reducers to the flanges, and was then test fitting the flanges to the existing exhaust. At this point, the car should pass California smog so I can register it and stop stressing about getting pulled over without reg. 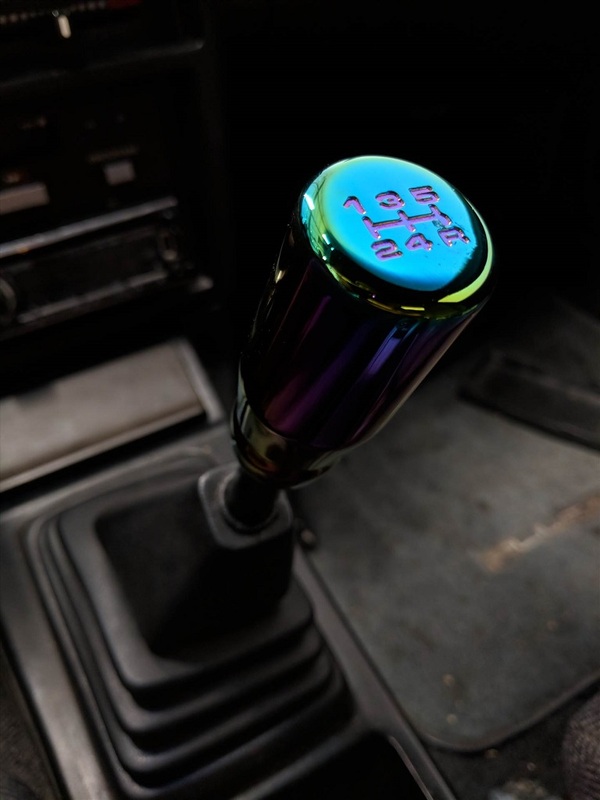 Also here's my "it's a rice shift knob but I like it because it's comfortable" shift knob. Nice work. A hoist is amazing hey. The sportbak has been difficult to operate since the lift supports were completely shot. 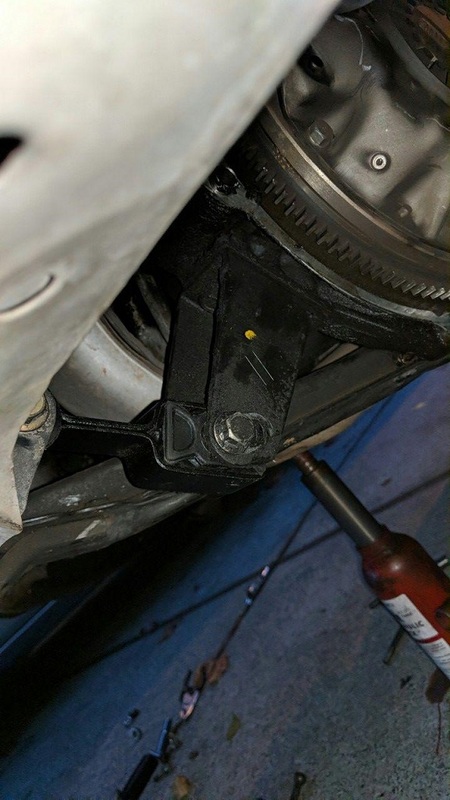 I went on Rock Auto and bought a set of supports but when they arrived, I noticed they were way too short. After a bit of research, I discovered that the sportbak and the standard hatch use different supports. Not only that - the sportbak supports are basically unobtainable. 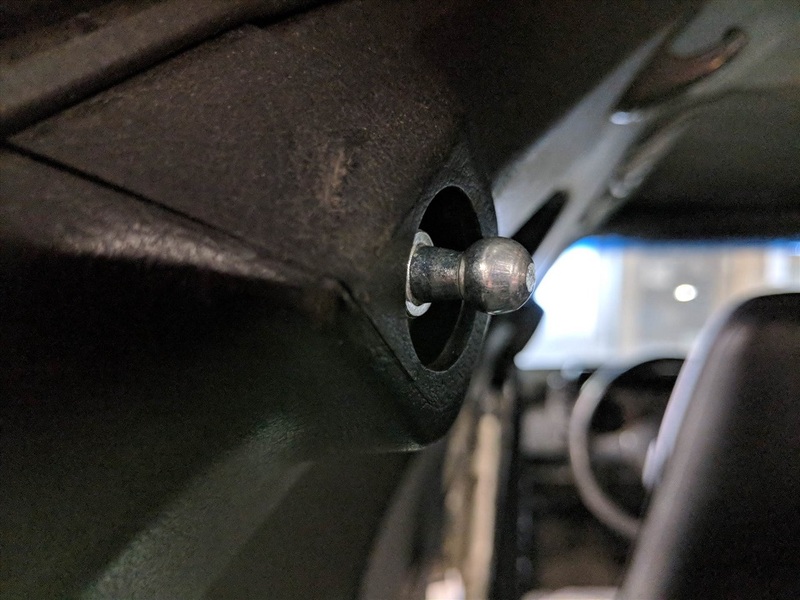 My friend Alvin suggested I grab ball-studs off of McMaster-Carr instead of trying to find supports that are compatible with the stock mounting bolt. I hopped on McMaster-Carr, but they didn't have the size I needed so I ventured to the lands of Amazon and eBay. In the beginning I ordered 2 ball studs in M8 x 1.25 with 10mm balls, 2 ball studs in M10 x 1.25 with 10mm balls, and 2 supports that were 26" in length and put out 45lbs of force each. 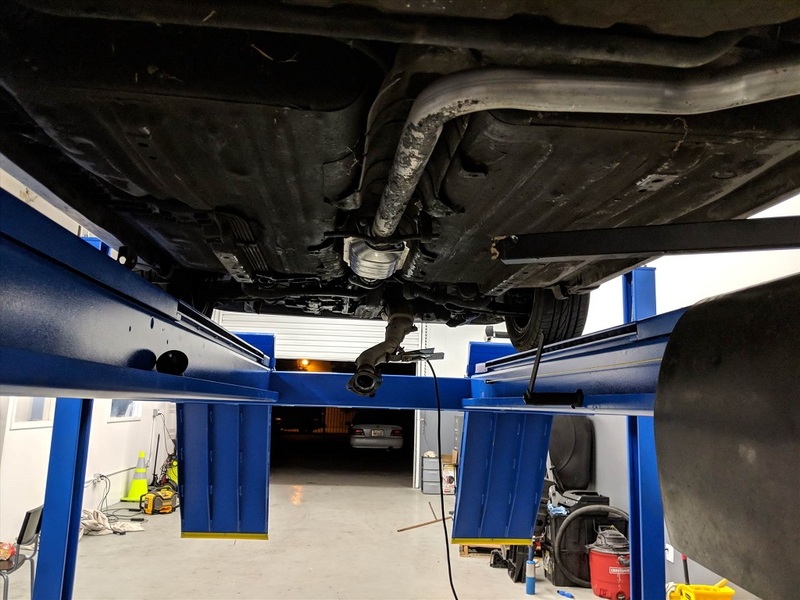 The only information on sportbak lift supports I could find across the internet was that they were approximately 26" in length. When everything came in I was ecstatic to put everything together. It didn't go smoothly, though, because there was incompatibility issues. First off, the chassis mount point is M8 x 1.25 and not M10 x 1.25 - my mistake. The M8 ball studs were originally intended for the sportbak mounting point, but those ended up being M6. So I used the M8 studs on the chassis and the M6 ball studs came from the first batch of supports from Rock Auto. So far I had some returns to make but I was still able to fit everything up. Then came the supports. Length? Perfect. Ball-mount method? Flush and OE-looking. Strength? WEAK! 90lbs total force, much to my surprise, was not enough to support the sportbak. It must be from the geometry of the mounting points. I ordered some supports in the same specs, but this time with 90lbs force each - 180lbs total. This is strong enough to support the sportbak and definitely feels like it's OE spec. Quite a bit has happened since my last update. 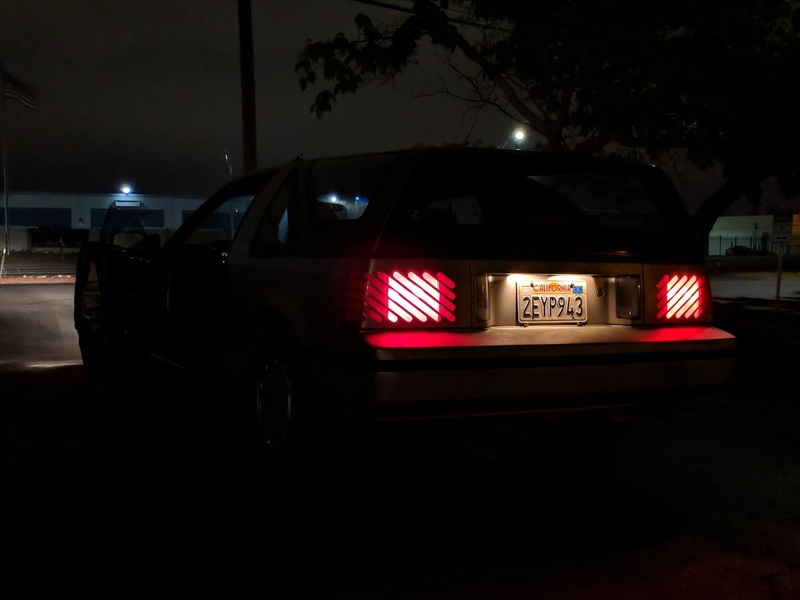 On Wednesday the 19th, I received a text from Row52 that a Pulsar showed up in the Newark Pick-n-Pull, which is within the Bay Area. 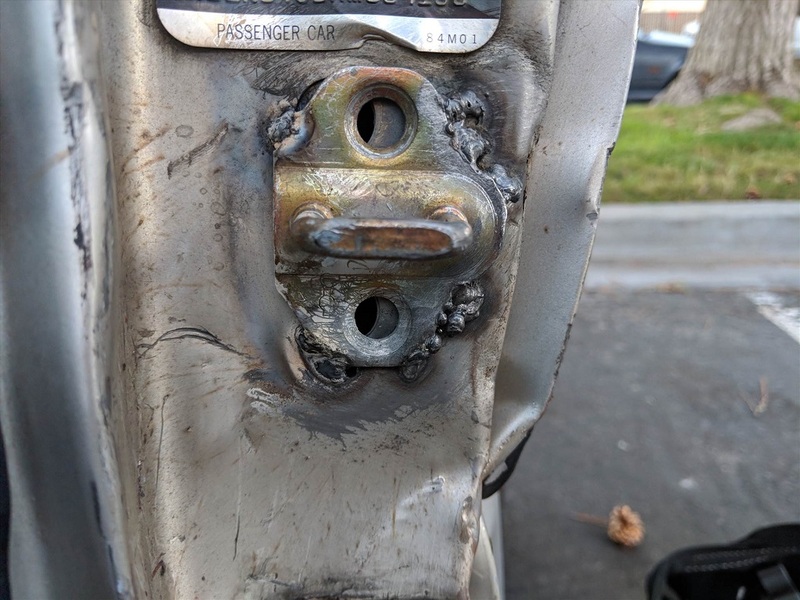 For reference, I drove a couple hours out of the Bay Area to Turlock when I went to pick up the door and quarter panel cut-out so you can imagine how excited I was. My girlfriend and I planned to go to the junkyard that Saturday to pick through the car. 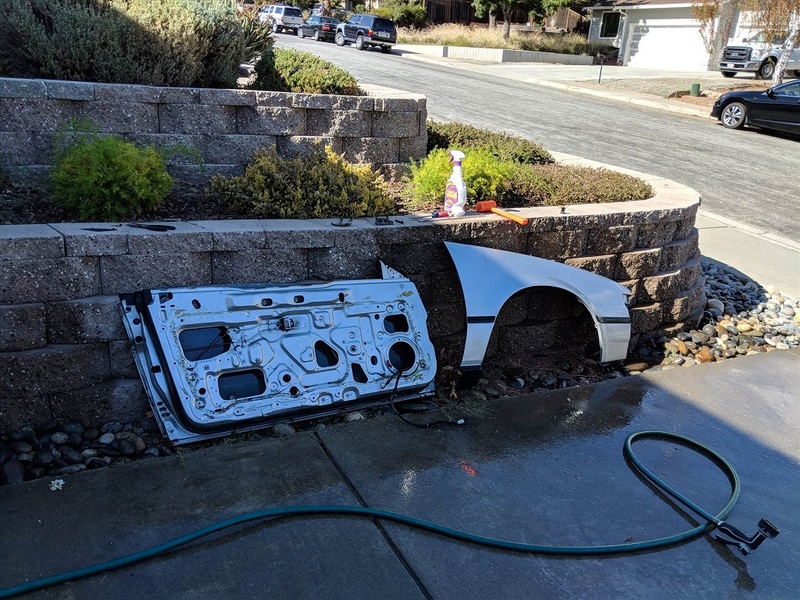 When we arrived, the pulsar was in pretty decent condition besides some body panels that were gashed and rusted (the driver's side door and quarter panel specifically, which indirectly validated my drive to Turlock lmao). This was an XE model, so I couldn't salvage anything from the E16DE engine. I do think I should consider going back for the transmission as my 5th gear has developed a pop-out issue. 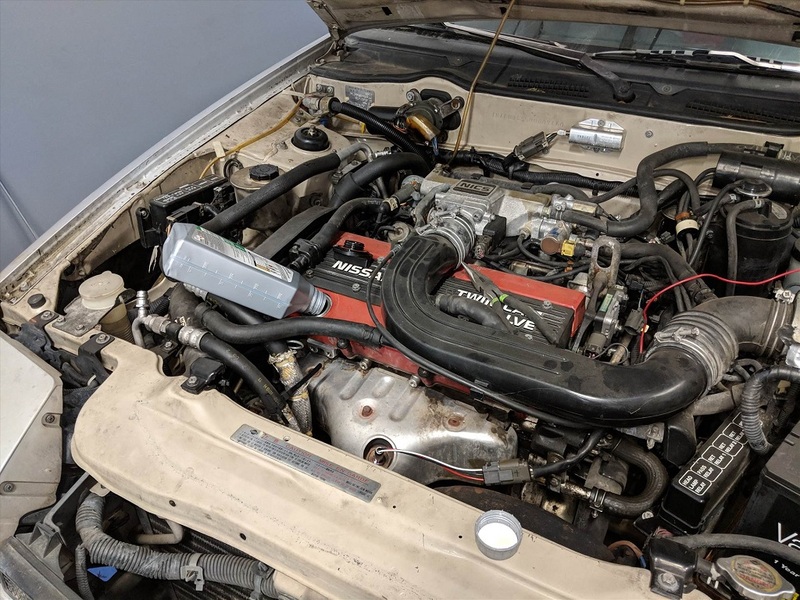 My friend Alvin had the same exact issue with his RS5F31A/C, and we sort of have a plan to replace 5th gear, but I would feel better about having a transmission that wasn't drag raced - and for $103.99 plus tax you really can't beat that. Then again if I plan on doing an engine swap down the line, does it really matter what transmission is in there? Who knows. I ended up pulling some seals, the passenger fender, a dash mat, interior bits that were broken on mine, and door handles and latches. I paid about $200 for all this stuff, and I might go back and pull more things soon. We will be dying the dash mat black to match my interior. The rest of the interior bits I pulled will be painted black as well. I wanted to pull the windshield, but it already had a hidden crack in it. 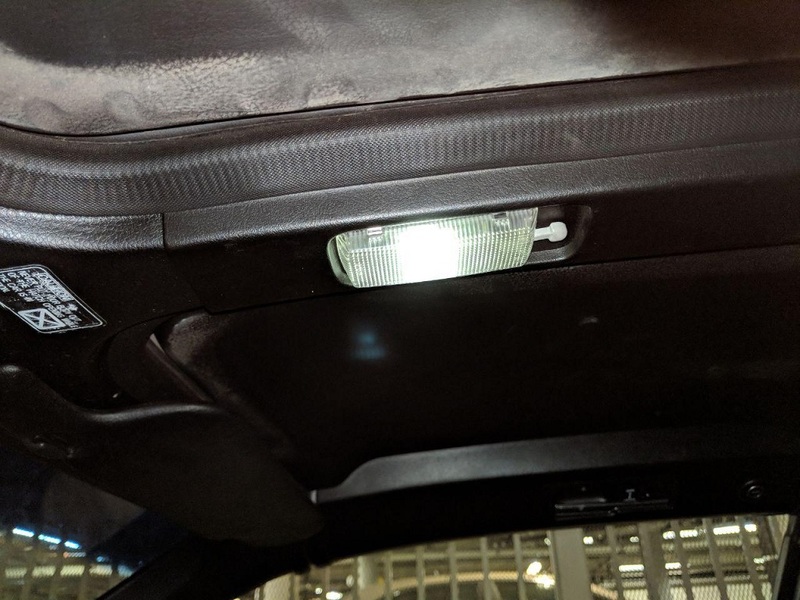 I've already installed the dome light, but unfortunately I can't quite set it to turn on when the door is ajar because the body of the driver door doesn't press the sensor on the chassis so it would always be on. Such luxuries cannot be had until the quarter panel is replaced. Boo hoo. 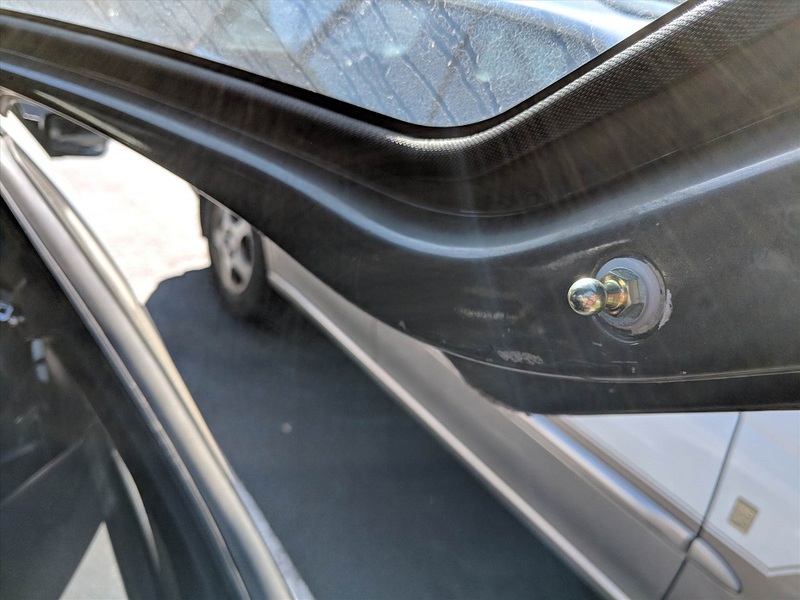 This last weekend, I decided I finally needed a door that locks so my glorious car doesn't get stolen or rummaged through (yeah right). My gf and I cleaned up the door and got it prepped for the swap. I washed the lock cylinder from the original door and gobbed some grease on there - it's smooth as heck now! Once all the prep-work was done, we took the door to my friend's shop where my welder is stored, which will make sense in a bit. When I first fitted the door up onto the hinges, I noticed that the chassis was getting in the way of the latch mechanism making contact with the striker plate. I hammered away at the chassis, since it will all be cut out later on anyway, and the door just wouldn't latch. I knew that I was going to have to move the striker plate farther out but the bolt holes just weren't going to allow me to do that so I busted out ol' trusty. After a few booger welds and adjustments of the settings, my striker plate was welded in position perfectly. The door locks and is dent free! There are a couple things that I'm going to have to address later on, and those are the small rust spots and the dirty window guide. 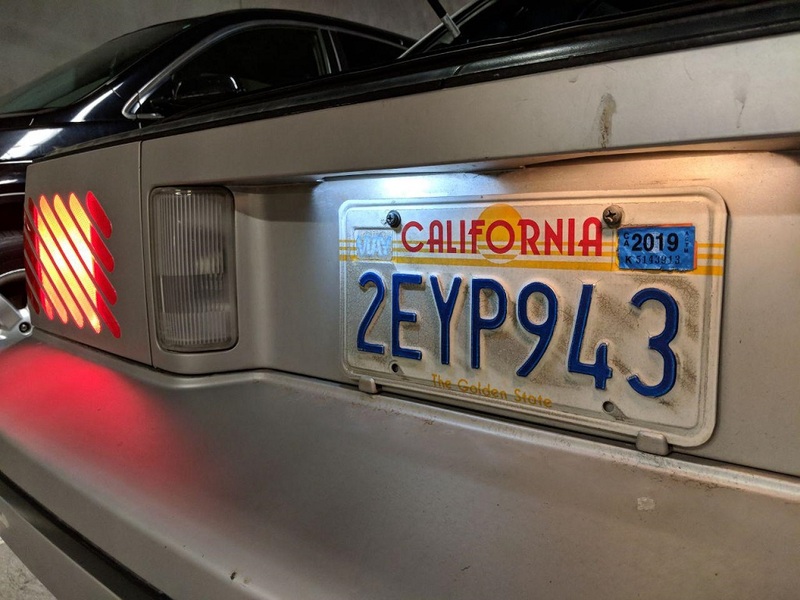 One last thing to mention is that one of my brake lights burned out, so the only logical solution was to replace every incandescent bulb on the car with LEDs . Those arrive this afternoon and will install them sometime this week. Last edited by JaredMV; 2nd October 2018 at 05:41 AM. I finished up the LED conversion tonight. 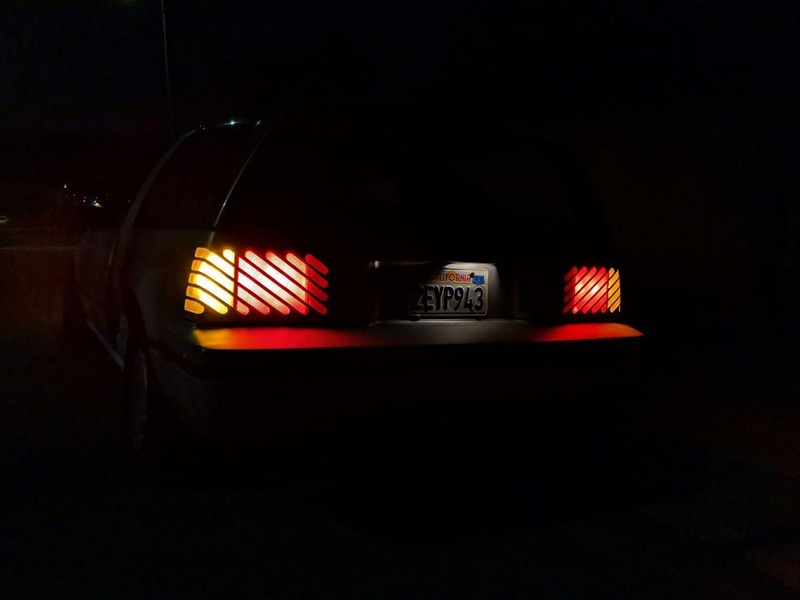 I had forgotten to order license plate bulbs the first time around so it took a couple days of waiting on parts. 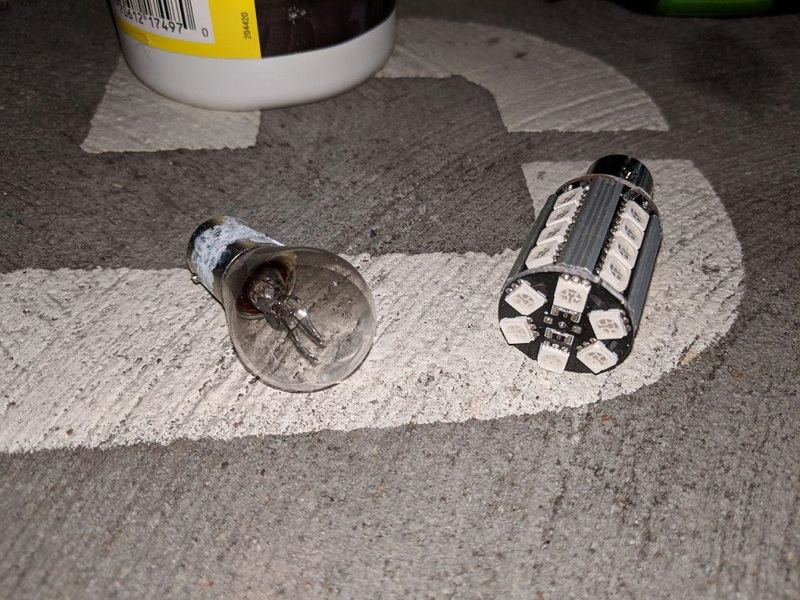 I'm glad that I won't have to worry about a bulb going out anymore. Nice to see this forum being revitalized. Nothing really to update here besides pics. I took the Pulsar camping with me this last weekend and grabbed some sunrise pics around our site. As a side note: I 100% believe that the Exa would be the perfect first car. It's modular, it's useful, and has tons of space despite being such a tiny car! Thanks man, I really appreciate it! 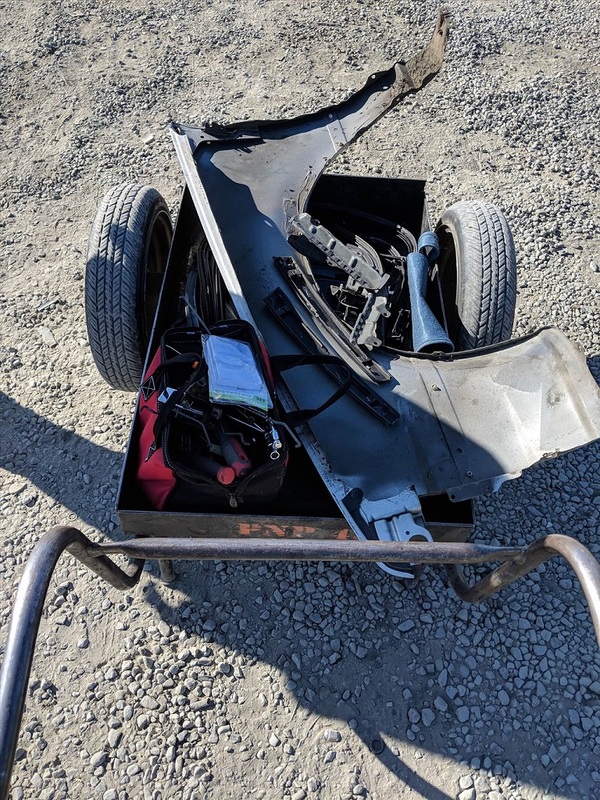 I'd recommend http://www.carpart.org (or http://www.car-part.com) if you're looking for parts, as their site searches dismantlers across the country for the part you need. I will warn that shipping larger items gets a little pricey and not a lot of dismantlers are willing to do that. The Pulsar was definitely in need of an oil service so I decided this weekend I'd take care of that and the dented front fender. Along with those, I figured I'd get under the car and get a general look at the exterior of the engine. 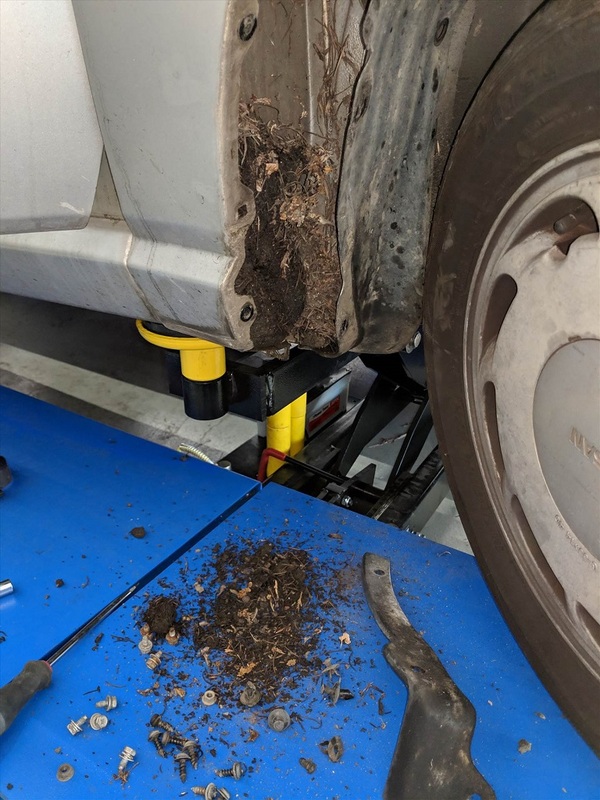 The first thing I tackled was the oil change. I chose Mobil 1 full synthetic 10w-30 because no matter what the price difference is, I just plain ol' don't like conventional oil. 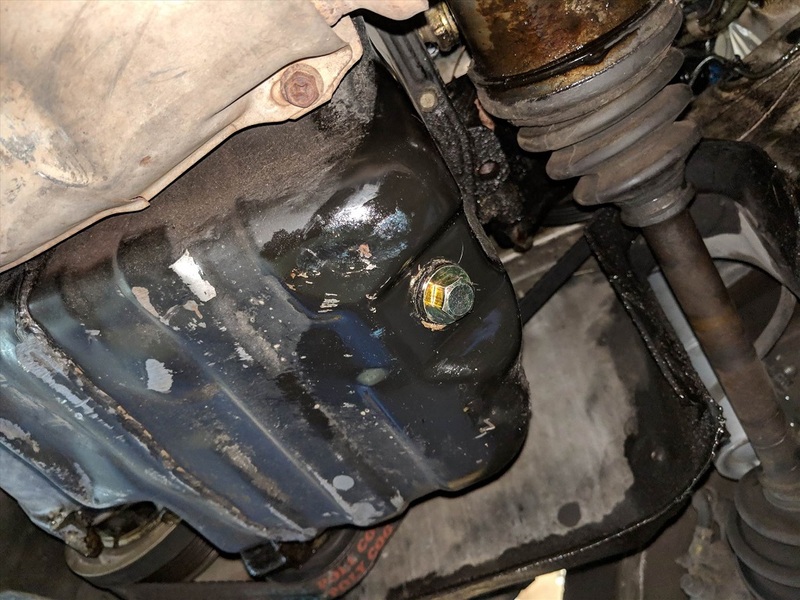 I completely drained the oil pan, lifting the front of the car and letting it drip for about an hour. Along with that, I went with a Bosch oil filter - a name that I trust as a euro car enthusiast. I slapped in a new drain plug and rubber washer and filled up the engine. 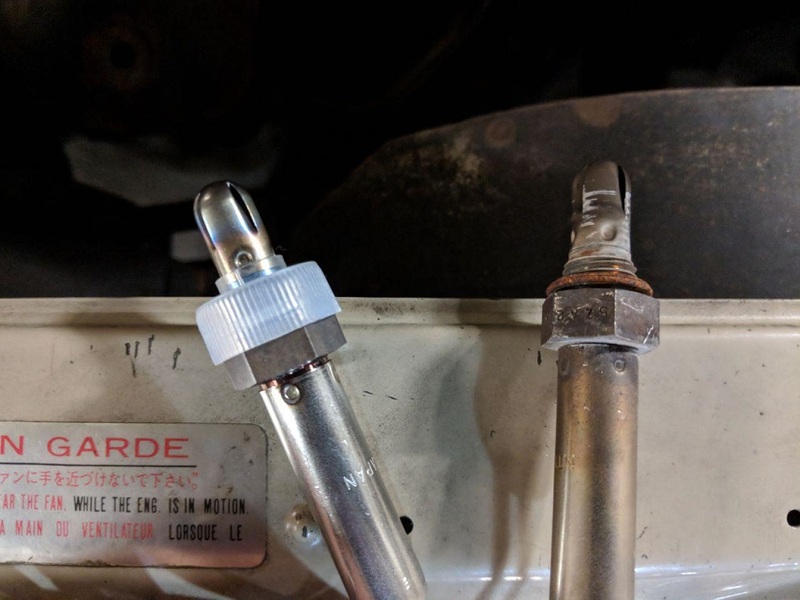 AMSoil notes the CA16DE's oil capacity is 3.7 quarts but I put in 3 and my dipstick read full. Even after driving around for a bit, the dipstick still reads full and I'm not getting an low oil pressure light. I'm a little sketched out by that so I'm going to keep a close eye on the oil level. While I was under the car, I took a look around the engine bay to see what's in terrible condition. Short answer: quite a bit. 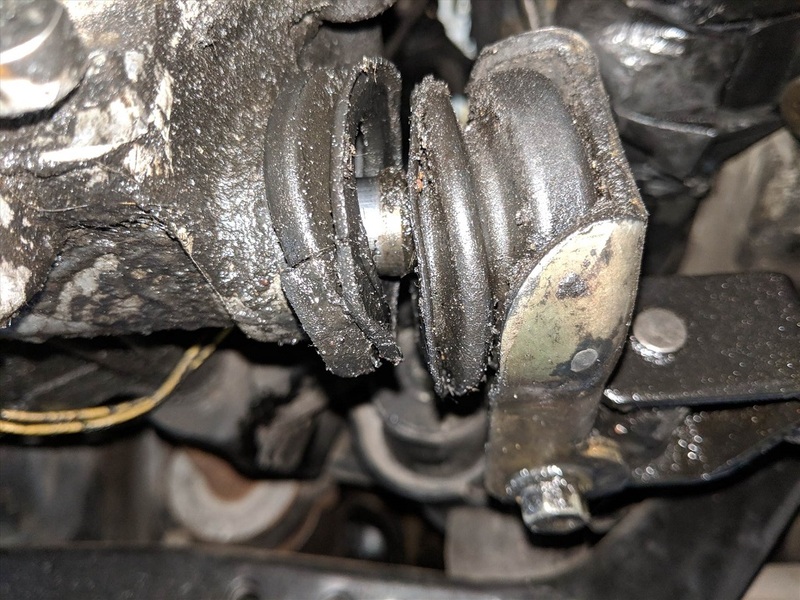 I have to replace the dogbone mount (which is like $8 on RockAuto ), the driver's side engine mount, and shifter linkage boot. I also need to source the oil leak and the power steering fluid leak from the steering rack. 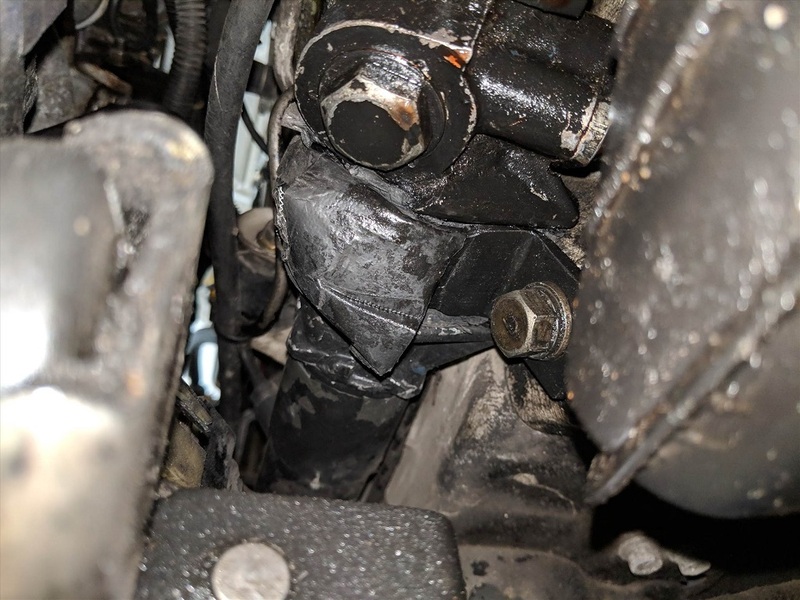 There was also some duct tape on the steering rack that's a little concerning, but I didn't mess with it because I didn't have replacement tape to stick on just in case. 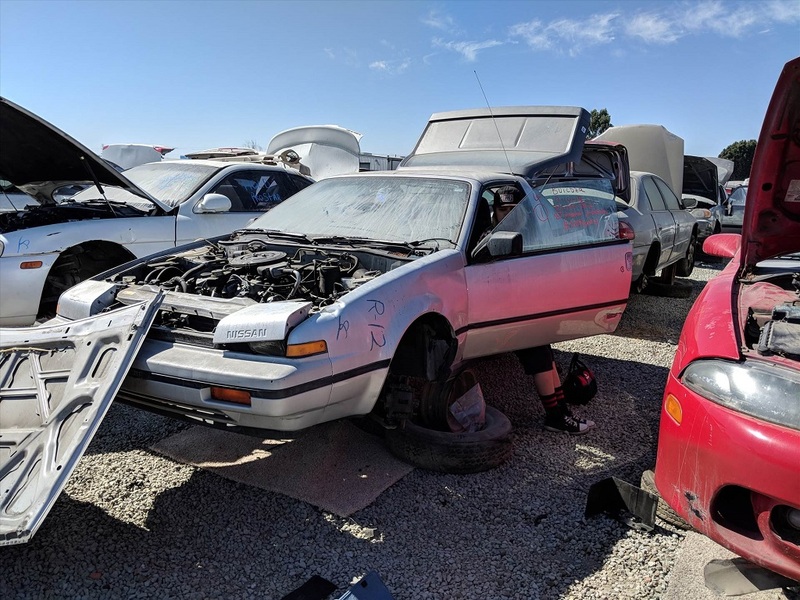 Perhaps if I go to the junkyard and grab the transmission from that other Pulsar before it's gone, I'll also grab the steering rack. Finally it was time to tackle the fender. The old one had some dents that really bugged me. If you refer back at post #14, the morning shots really brought out the imperfections. Overall the fender install was tedious, but it eventually worked out. 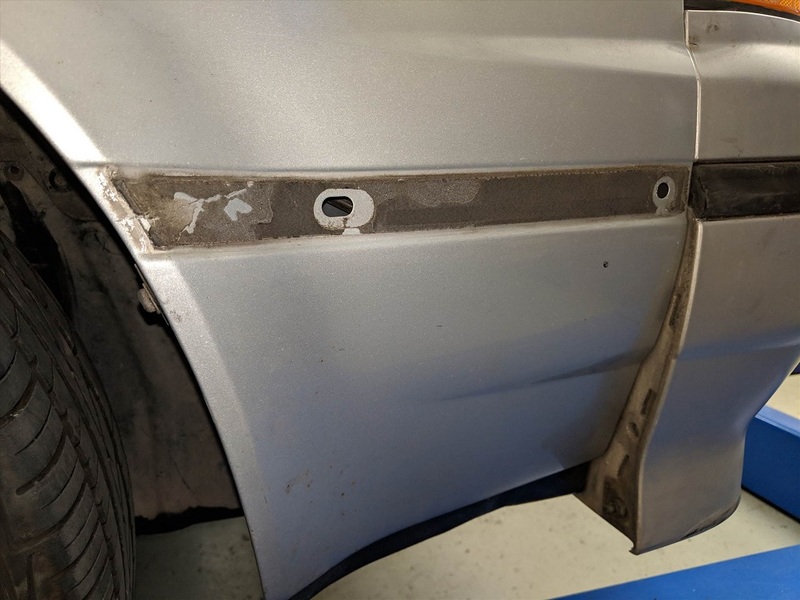 The only issue was the fender came off of an XE trim, so I'll need to drill some holes for the SE aero trim piece. No big deal, but I didn't have a drill on me at the time. I never knew that the XE and SE trims had different front bumpers but that's just because I didn't pay close enough attention to the details. It's a good thing I didn't take the junkyard bumper too! Yes XE and SE had differant front bar and front panels. Im doing the same atm. Found mine was a solaire (in Aus) and it used the slimmer front end. Now i have to find some front panels to suit. Good to see this thing moving along. The PS leak is a normal issue. I ended up going manual rack as i kept on having the issue. It's been a while since I last updated the thread, but that's mainly because I was enjoying my last moments with my M3. 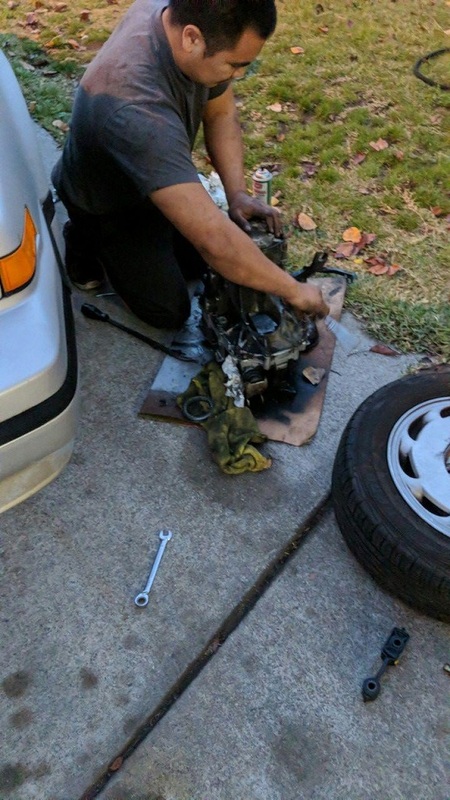 Over this past weekend, my friend Alvin graciously attempted to fix my 5th gear issue. Unfortunately, the 5th gear from his donor transmission didn't want to come out and ended up chipping. I'm now currently on the hunt for a junkyard transmission, hopefully going for a mid-90's Sentra transmission and swap the bell-housings. As for things replaced along the way, I swapped out the battery ground cable as the old one was hanging on by a thread. 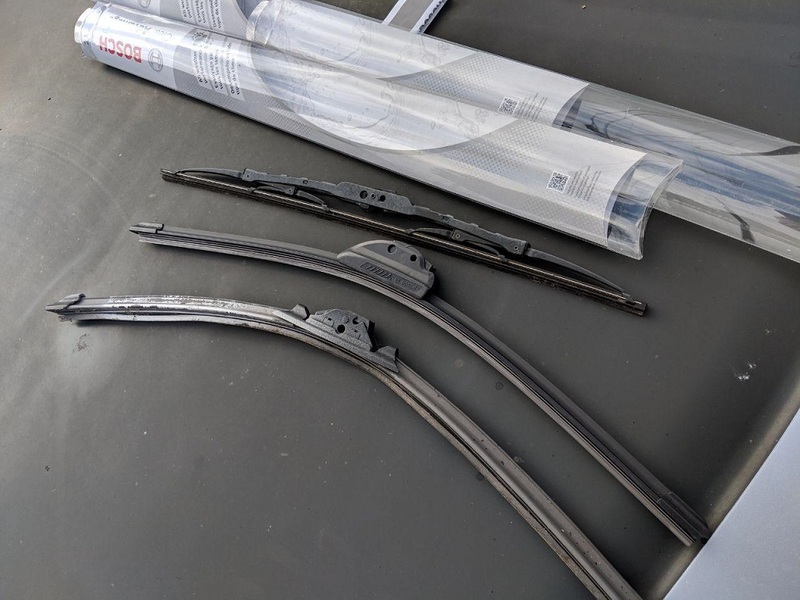 I got a pretty heavy downpour on Saturday so I pulled over and replaced my wiper blades with Bosch 21" blades. 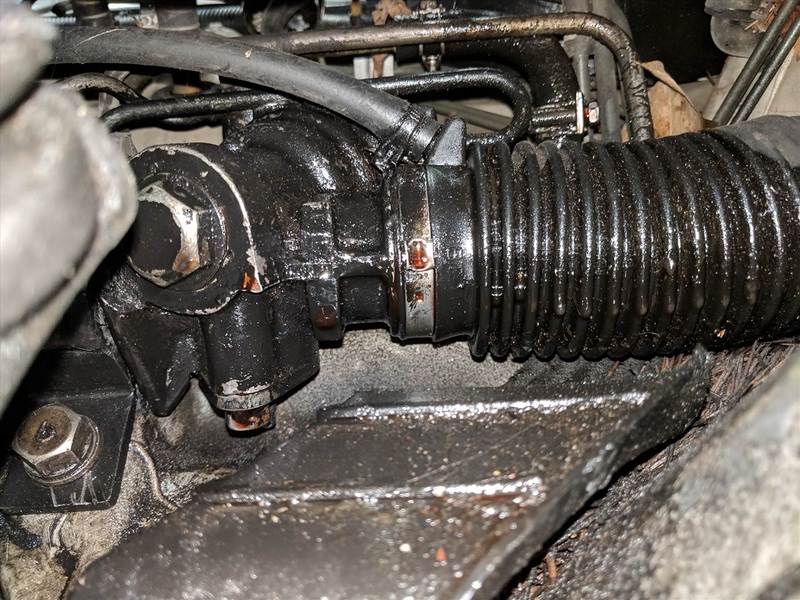 I attempted to replace all 5 engine and transmission mounts, but only ended up replacing 3 successfully - the transmission mount ended up being for the XE trim with the e16 engine, and we also ran out of time to install the left engine mount. 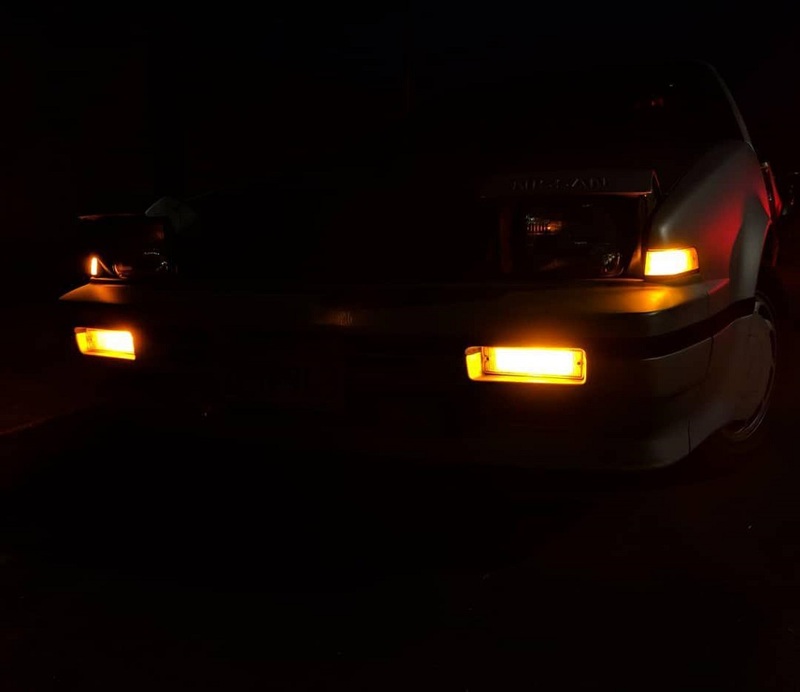 When putting back the transmission, a new clutch plate and friction disc were installed as well but unfortunately I ran out of light and patience for pictures. Overall, I'd say it was a pretty productive weekend. The ️ulsar is now my only car so I'll need to get the transmission fixed as soon as possible. My eyes are glued to craigslist and car-part.com.